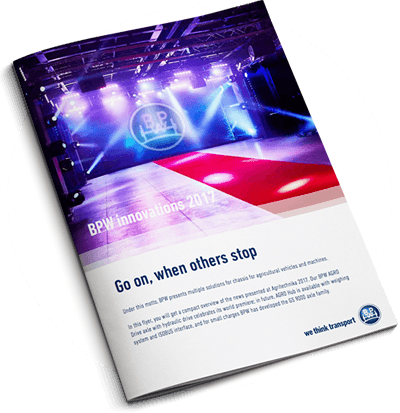 BPW at the Agritechnika 2017 - Go on, when others stop. The new hydraulic driven axle has not only improved the vehicle’s traction but has made servicing much easier. 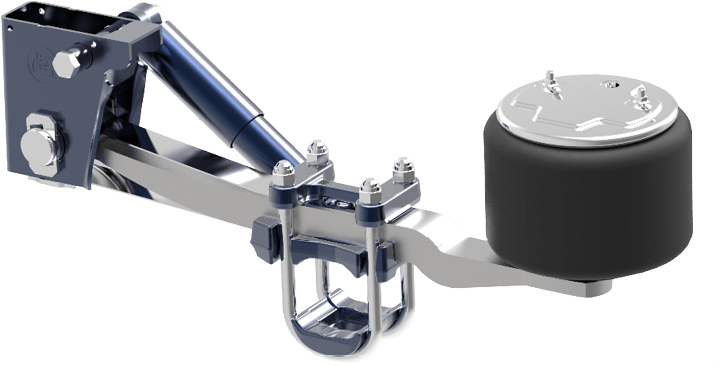 Thanks to the sophisticated design of the driven axle, maintenance works and brake shoe replacement can now be carried out without disassembling the hydraulic motor. This has been made possible through the use of the proven BPW brake system, whose brake drum can be easily remove outwards. When operating on banks or hillsides or faced with soft loose soils, agricultural vehicles can often reach their traction limits. 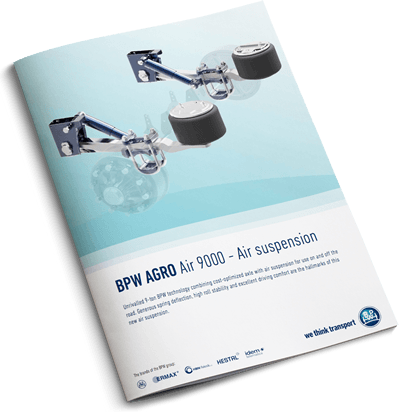 To make it easier to get started on such surfaces and prevent them from getting stuck, BPW has developed the BPW AGRO Drive for agricultural trailers. 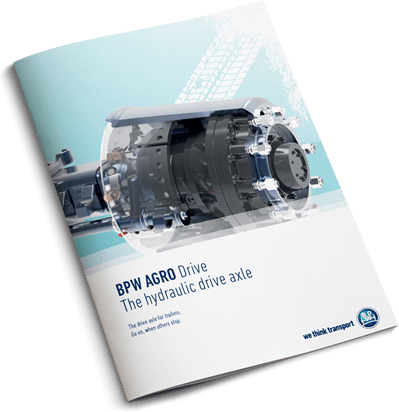 Launched at Agritechnica in 2017, this hydraulic driven axle has an auxiliary drive which ensures increased performance in difficult terrain. Designed for the demanding agriculture and construction sectors, AGRO Drive gives you the power and stability to move heavy loads in demanding locations under the toughest conditions. With a higher payload to weight ratio, the high torque and large speed range means lighter tractors can pull heavier trailers in difficult terrains, meaning less hauls, saving you time and money. One of the unique features of the BPW AGRO Hub data system is that customers can receive a detailed overview of their mileage, directly to the driver’s cabin. 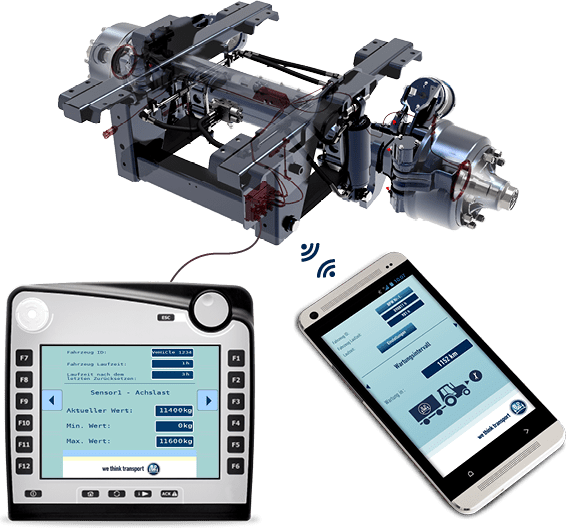 Integrated sensors transmit the data through the ISOBUS system, displayed in the driver’s cabin or via the BPW AGRO app, making the data visible at all times. To optimise vehicle operation, this system also offers a maintenance interval function. 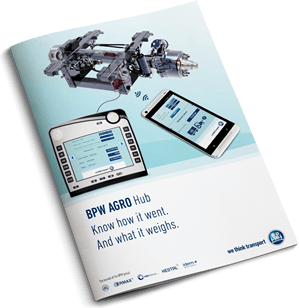 As a further example of the continual development work BPW carries out in this field, AGRO Hub data system will soon be able to offer customers a weighing system, providing accurate measurements that can be used as the basis for invoicing. 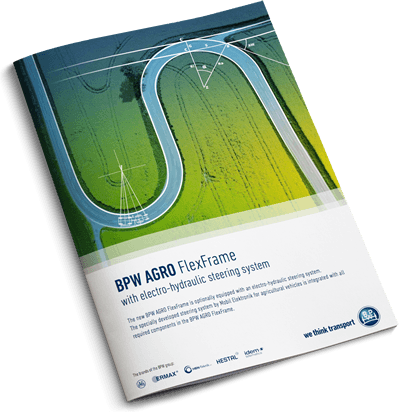 The new BPW AGRO FlexFrame is optionally equipped with an electro-hydraulic steering system. The specially developed steering system by Mobil Elektronik for agricultural vehicles is integrated with all required components in the BPW AGRO FlexFrame. For smaller loads, BPW has developed the axle family GS 9000, with an axle load of 9 tons, which is perfect for use in tippers, transport vehicles and soil preparation machines. 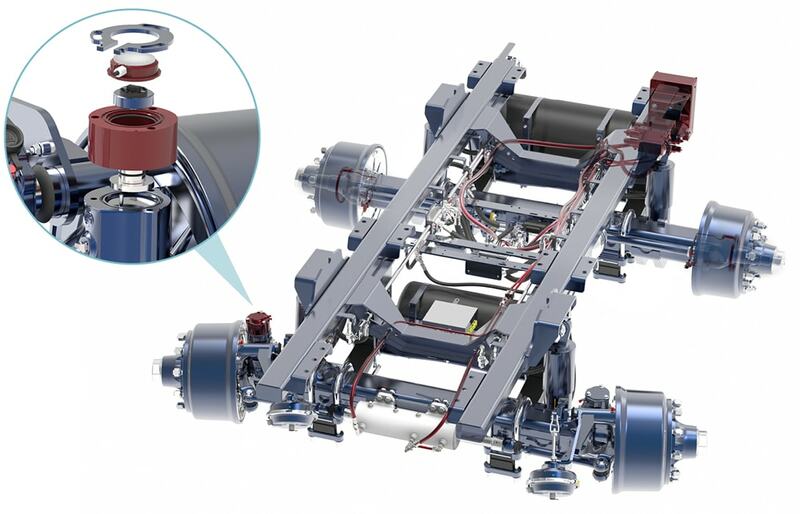 Following the BPW modular principle, this new axle generation also offers a variety of suspension combinations. Vehicle operators can also specify the braking system with a choice between the N4012 brake for tyres from 19.5 inches and the newly developed N3411 brake, which is available for tyres from 17.5 inches onwards.